News media are pondering whether President Trump will reconsider his plan to withdraw troops from Syria following the suicide attack that killed four Americans, including two US soldiers, on patrol in Manbij yesterday. The Islamic State claimed responsibility. So far, U.S. officials said there were no plans to reverse Syria pullout decision, CNN reported. 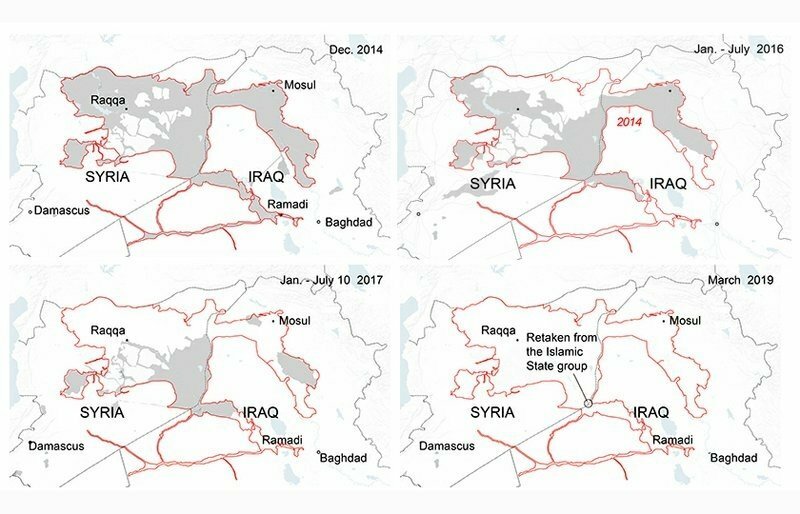 The attack emboldened critics of President Trump's assertion that the Islamic State had been defeated in Syria, which was the reason invoked when he announced the troop withdrawal on December 19. They hope he will halt or reverse his decision. "I hope the President will look long and hard at where he is headed in Syria," Senator Lindsey Graham (R-SC) said. But the President will certainly weigh in the possible consequences of any further American casualties in Syria. More American deaths will inevitably lead the public to demand that the troops be withdrawn. What's next: In fact, yesterday's attack could paradoxically comfort President Trumps in his decision to pull out troops from Syria. And with the 2020 presidential election approaching, the President will not want to see more American casualties in the news.